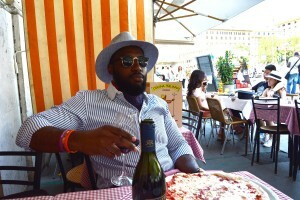 ROME, ITALY – The location: a little pizzeria just a block outside of Vatican City. It’s a repugnant 37 Degrees Celsius (98 degrees Fahrenheit) on the Sterling Ascots European Tour and shade in Rome is seldom found with no strings attached. 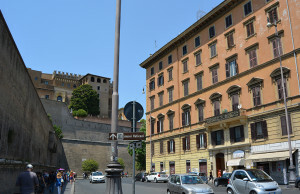 As the finely dressed women and men of Rome fly by on scooters, I am still slightly overwhelmed with all the history I had the privilege of seeing behind the Vatican City walls. I, soon after, come to the realization that history books and television have done me a true disservice. During the mental recap of my journey through Vatican City, I arrive at the Sistine Chapel. The sweet serenades of the guards greet me: “no fotografia, no fotografia!” As I look up in awe of all the art, I’m interrupted by a grumbling sound…I’m hungry. My day dream ends and reality faces me. 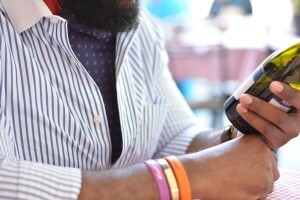 It’s lunch time and a bottle of wine is within striking distance on the table, let’s make this an ascot moment. The Ruby Red Reversible from Sterling Ascots makes its Roman entrance at a cozy curbside table of a pizzeria. 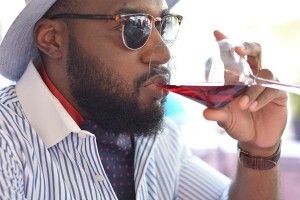 Delicious wine and thin crust pizza compliments all of the colors of the Ruby Red Reversible Ascot. The primary solid red side of the ascot tastefully peaks just above my shirt collar adding just the right amount of divergent qualities from any other ascot or piece of neckwear currently on the market. I was previously advised to always drink the free table wine whenever I sat down to dine, but a bottle with a label would be required to diversify this shot. 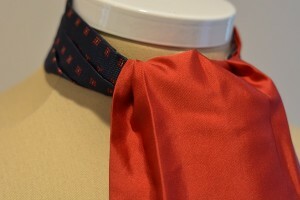 The Ruby Red Reversible is indeed a one of a kind ascot. The eye popping solid red side will catch the attention of anyone within an appropriate distance like a herd of bulls barreling down the street. In contrast the Checker Red side is one that is inconspicuously cunning, comparable to a snake that slithers its way towards you and leaves you in the cobra clutch while you’re not aware. 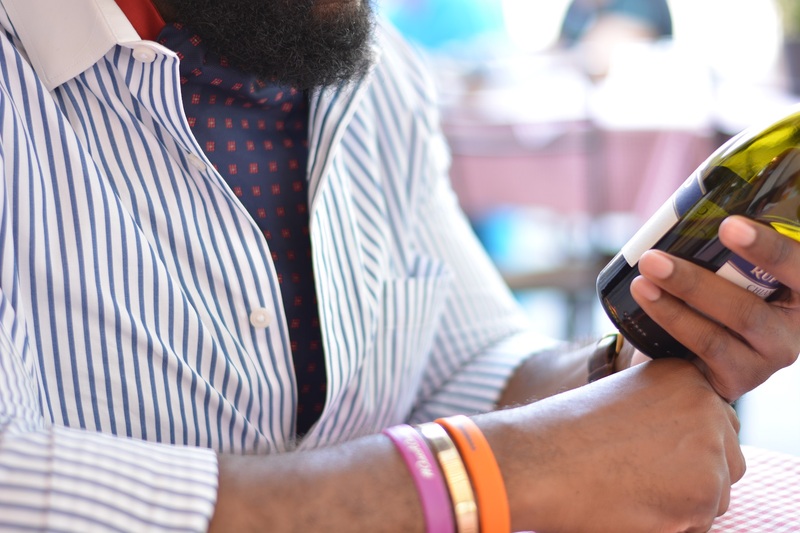 This ascot drips with versatility and invigorating vibrant color. As I sip my wine and faux-read the label my stand in photographer, snaps 50mm shots of me out of anger demanding a raise in pay. My mind wanders off once again, this time it’s to reallocate the time left in our journey ahead between a couple of fabric stores, the Pantheon, and the Colosseum. As the pizza hits the table, I bow my head to give thanks for the meal and this opportunity as a young professional…lunch is served.